Trucker Huss, APC is pleased to announce it is an exhibitor at the 2019 NIPA Annual Forum & Expo (NAFE) being held April 28 – May 1, 2019 in San Diego, CA. The event, sponsored by both NIPA and the Western Pension & Benefits Council (WPBC), is designed exclusively for retirement plan professionals, and offers enriching, relevant, world-class education to attendees. Please come see us in our booth in the Exhibition Hall. Brad will discuss litigation developments involving pension and health and welfare benefit plans, including alleged fiduciary breaches involving excessive plan fees and proprietary investment funds. Brad will explain important information about the increase in Department of Labor activity. Craig will discuss the impact of current legislative and regulatory initiatives happening in Washington. Craig will explore the history of multiple employer plans, summarize regulations and legislative proposals and predicts how these initiatives may transform the retirement plan industry. Craig will answer questions and share ideas regarding defined contribution plans during this interactive session. 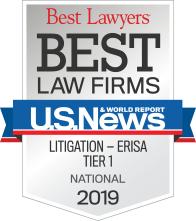 Brad’s practice is focused in the areas of ERISA litigation, fiduciary responsibility matters, qualified pension and profit sharing plans and Department of Labor investigations. He serves as a private mediator in ERISA litigation matters and has been appointed as an Alternative Dispute Resolution Neutral in over sixty ERISA cases by the United States District Court for the Northern District of California. Brad makes frequent presentations on ERISA litigation and fiduciary responsibility matters to organizations nationwide. Craig is former General Counsel for the American Retirement Association (“ARA”). Craig is a recognized national expert in ERISA and tax matters and highly sought-after speaker at regional and national retirement industry events. 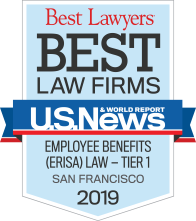 Hoffman’s articles have been featured in numerous publications, including the Plan Consultant, ASPPA-Connect; the Journal of Compensation and Benefits, the Journal of Pension Benefits, Pension and Benefits Week, Pension World, and RIA Pension Alert.